Japan’s reputation for high quality design is well deserved. But the idea that Japanese things are expensive is not necessarily true. 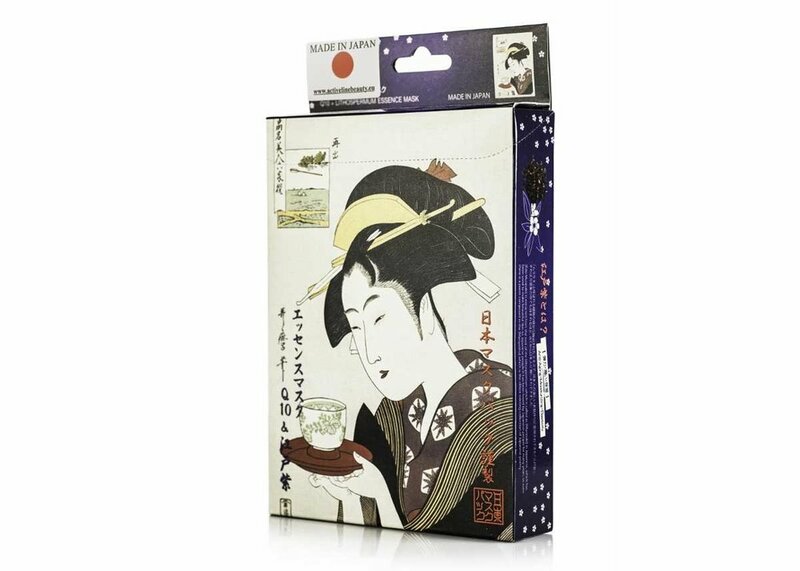 We are bringing to you 30 authentic Japanese goods that you can buy on Amazon for less than $50, and many for a lot less! 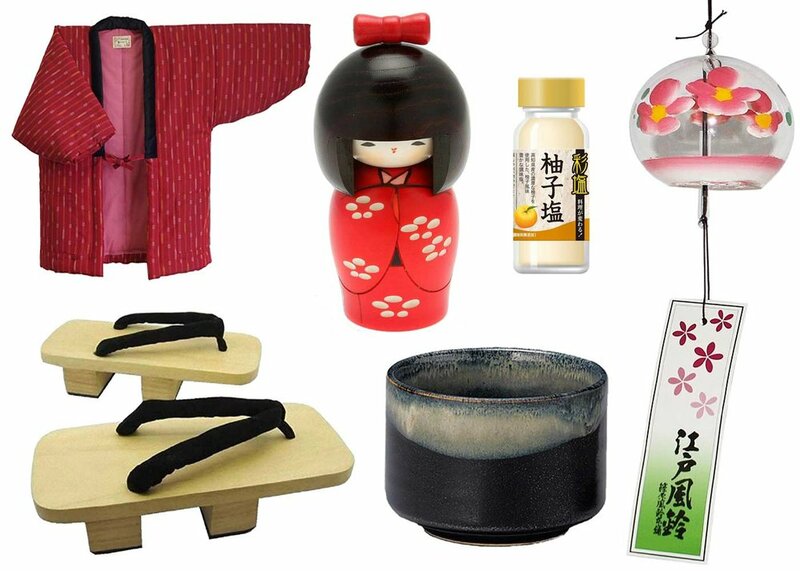 So if you want to add a little Japanese quality into your home, or your beauty regime, check out the recommendations of cool Japanese stuff below to purchase these essential items at affordable prices. No proper bento is complete without a nice flatbed of rice. 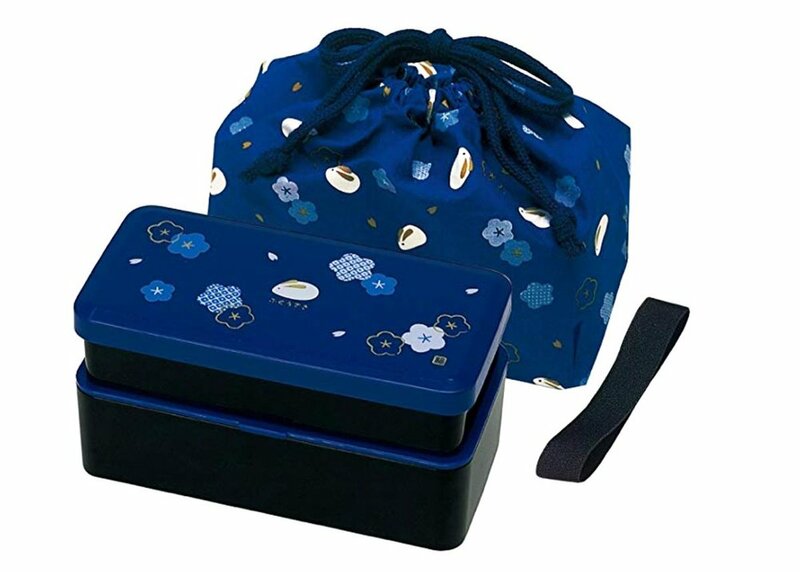 This cute, stackable bento box allows for the separation of meat and vegetables from rice or salad, assuring that your dishes will remain fresh and tasty all day long. This particular model was designed so that the top tier can collapse into the bottom, making for easy storage in the matching fabric bag after eating. Lunch has never been easier! Yuzu is one of Japan’s inexplicably little-known treasures. This flavor of this small yellow citrus fruit is little like a sweet grapefruit, but without the bitterness. Its rind is widely used as a seasoning for both sweet and savory dishes. You don’t need to travel to Japan to try it: this yuzu salt packs all the flavor you need. Great on fish, pork, vegetables, and unexpectedly, ice cream. Strongly recommended! 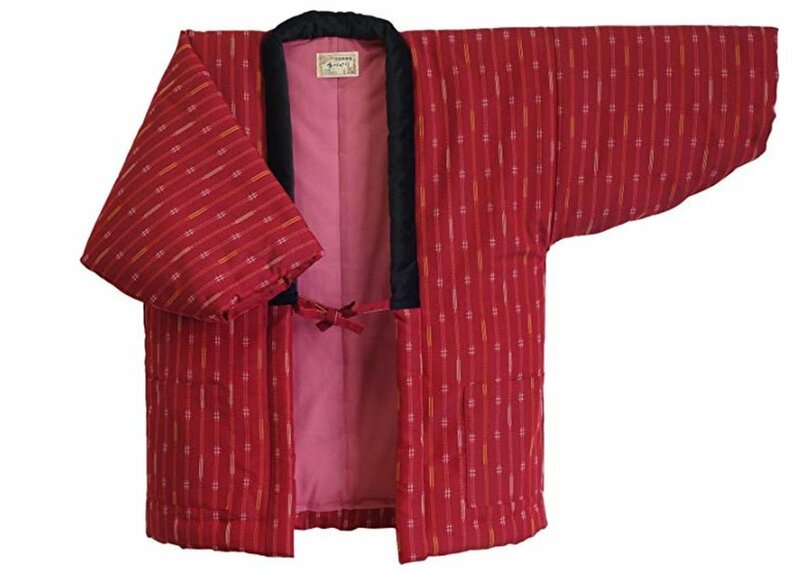 A hanten is a traditional Japanese coat that is fitted over kimono or sleepwear, and is one of the best things to buy in Japan, which makes it a pretty interesting find on Amazon! Lined with 100% cotton, this article has great insulating properties. Cotton is a very breathable material, so it can also be worn during the warmer months. With a variety of vibrant colors and patterns to choose from, you don’t need to sacrifice warmth for a great outfit! There’s nothing better on a brisk morning than a warm bowl of green matcha tea, but if you drink it out of a mug it doesn’t taste quite the same, like drinking champagne from a beaker. Fortunately an authentic Japanese ceramic bowl doesn’t have to cost the earth. With this finely glazed chawan, made in Japan by Yamaki Ikai, you can enjoy your matcha the way it was supposed to be. Try it with hot chocolate too! Using oil as a cleanser may sound strange to some, but it is actually highly effective at removing cosmetics, dirt and grime without irritating the skin. The water-soluble, antioxidant-rich formula is made with an olive oil base. Unlike other harsh cleansers, this rich oil soothes flakey, irritated skin while providing instant hydration. As you slurp your ramen in a Tokyo restaurant you might notice that nestled in the bottom in the pitcher of iced water in front of you, there is a small black stick. 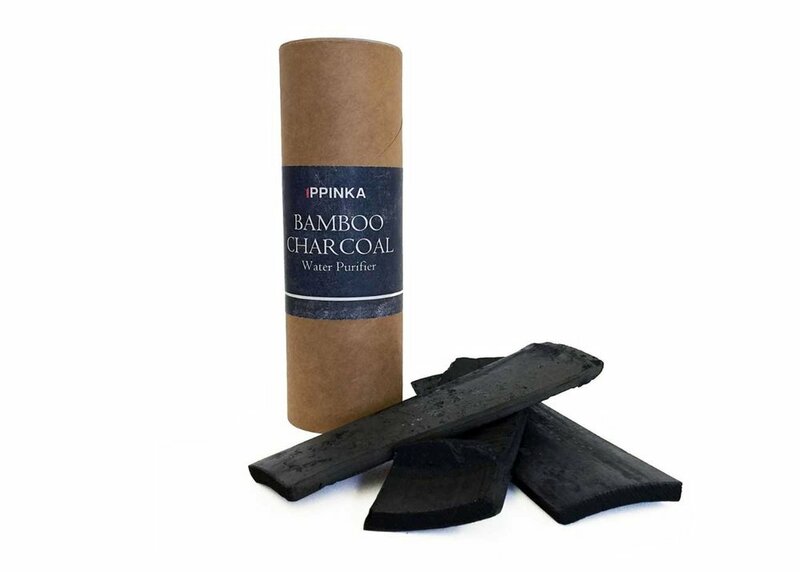 This bamboo charcoal stick is there to filter the water, in particular to remove the taste of chlorine from tap water. Place one of these charcoal sticks in your water pitcher overnight, and see what a difference it makes! 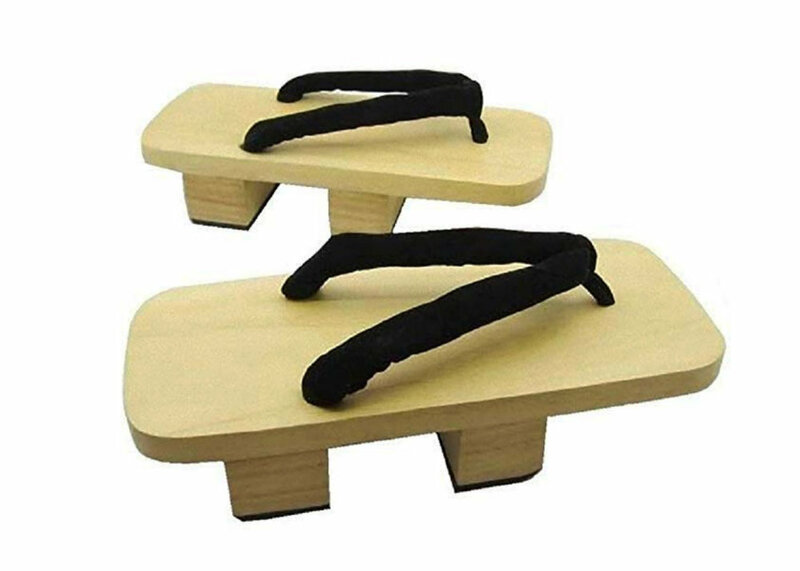 Geta are elevated wooden sandals that are usually worn with traditional Japanese clothing. Various colorful fabrics are used to affix the wood to the foot. The platform offers balance support while exercising your leg muscles. In a flexible thong-style sandal, this men’s style fits anywhere from a US size 8 to 10; they could easily become your new favorite shoes, or could make a great gift for any friends looking for some cool Japanese things! Kokeshi Dolls have been carved for over 300 years, from a single piece of wood. Since the 1940s there has been quite a revival of the form, thanks to innovative artists such Usaburo Okamoto. Today his son of the same name carries on his legacy, with expressive works such as this. This doll would make a wonderful one-of-a-kind gift for friends or family. You’ll never have to worry about accidentally stepping in a puddle and ruining your shoes again with these geta sandals. Crafted in a feminine style with floral fabric and dark-grain wood, they are a beautiful accompanist to a yukata or kimono, depending on the season. With a bottom cushion and slight arch, they are the perfect balance of comfort and style. Charcoal has long been used for its absorbent properties, helping to rid the home of bad odors. As an ingredient in this unusual toothpaste, it seems to do the trick in tackling bad breath. The paste itself comes out as a dark gray color, but don’t worry, it’s not going to dye your teeth black! It actually works pretty well in keeping teeth white and breath fresh, all with a very pleasant flavour. 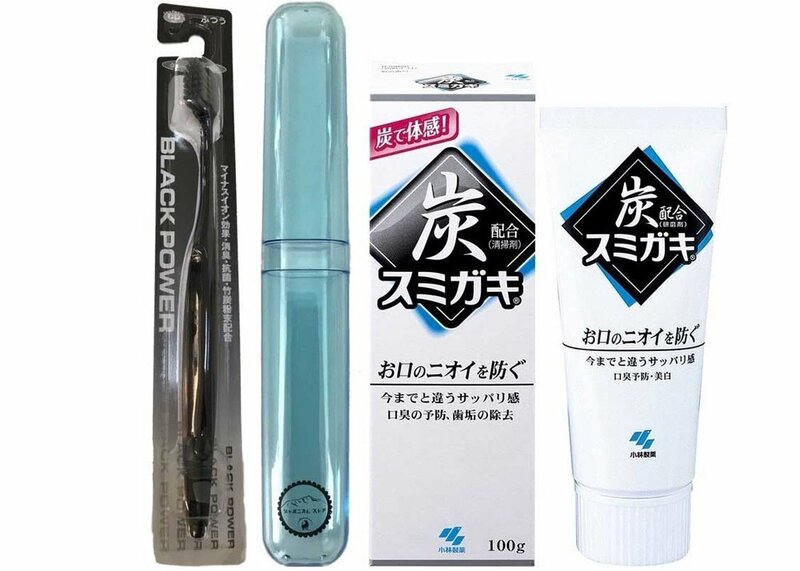 If you buy this set, it comes with a matching black toothbrush and case. Although it is grown in California, this sushi rice is as close to authentic Japanese rice as it can get. Being medium-grain, it is firm enough to hold up in any type of dish while remaining fluffy in consistency. It’s the perfect thing if you’re feeling a little nostalgic or homesick for the old country! The old-fashioned way of washing rice involves some expert palming techniques to prevent a mushy, hardly recognizable outcome. If under-washed, starchy, overly sticky rice will be the result. Skip the hassle with a washing bowl made specifically for rice. With two drainers, it guarantees thoroughness. It can also be used for vegetables, fruit and any other grains. 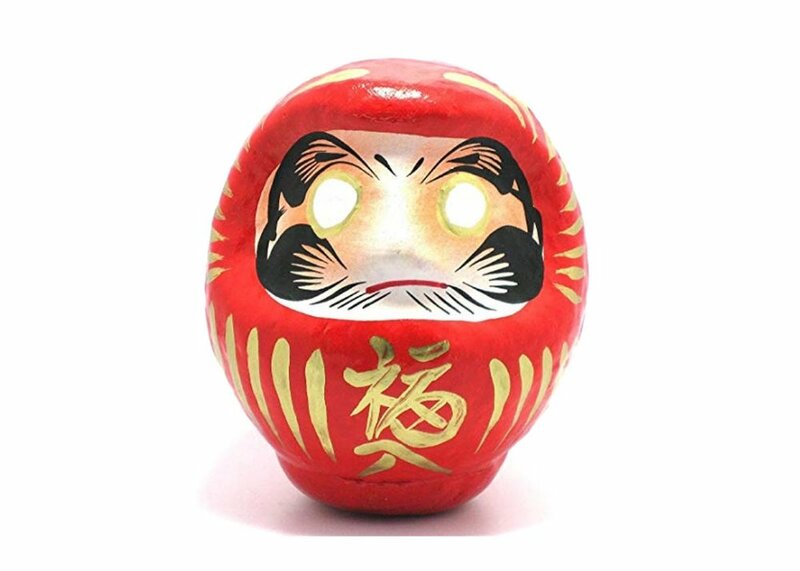 A Daruma is an easily recognizable good luck charm. Daruma was actually a person, and more specifically, the Indian priest who founded Zen Buddhism. The charm is meant to grant important, goal-oriented wishes by rewarding patience and perseverance. So the next time you have an important goal in mind, try purchasing one of these unique, hand-painted Daruma dolls. Forged in steel and finished with a light wood handle, this knife set is a great addition to any amateur sushi chef’s kitchen. Carbon steel is incredibly sturdy, which is an excellent base for these blades. The set includes a Gyutou (Chef’s knife), Nakiri (Vegetable Knife), Santoku Deba (Multipurpose knife) and Petty (Delicate Cutting knife); everything you need to get started with cooking up a delicious meal. At this price it is one of the best things you can buy on Amazon! Taiyaki are delicious fish-shaped pastries filled with red bean paste. The fish in question is a Tai, or Red Sea Bream, which is said to bring good luck. These sweets are conveniently portable and thus make a satisfying afternoon treat on the go. Having your own nonstick pan makes room for filling experimentation and good luck all year round! Japanese beauty counters are packed tight with facemasks, so only the best quality products will manage to stand out. Mitomo’s face masks are particularly well-received, with reviewers pointing to suppler skin with improved tone. This packet of 10 cotton facemasks are infused with Q10 and Lithospermum to help refresh and revitalize the skin. Oi Ocha is one of the most popular teas in Japan. It can be found in every convenience store, vending machine and household. Now, thanks to this instant version, it can easily be enjoyed anywhere. The packets can be mixed with either hot or cold water, allowing for enjoyment no matter what the weather. The key to good design is not in over-complication, but in good quality. As long as a product does its job well, it doesn’t need all the bells and whistles. Well, in this case it does need the whistle. This made-in-Japan stainless steel kettle boils quickly, handles well and doesn’t spill. Reviewers have reported leaving water in it for weeks at a time without rusting. At under $50, it seems an ideal answer to your water boiling needs! Tenugui towels are thin, made of cotton, and perfectly versatile in the home. They have been used since the Nara period of Japan, about 1300 years ago. Thanks to their absorbent, sturdy nature, these towels have been used as aprons, sportswear and in the bath. With colorful and often elaborate patterns, this assortment has a style for everyone to love. In Japan the light twinkling sound of wind chimes brings to mind a cool summer breeze. You can enjoy the same pleasant sensations in your own home with these handmade glass wind chimes. Each piece is individually blown by Shinohara, which has been producing these classic wind chimes for 65 years. The floral designs are hand-painted on the inside, so you don’t need to worry about exposing them to the elements. In Japan, the Maneki Neko is regarded as a good luck and all-around health symbol. Its origin comes from a folktale about a stray cat who, in return for a shop owner’s kindness, beckoned customers and brought in good business. 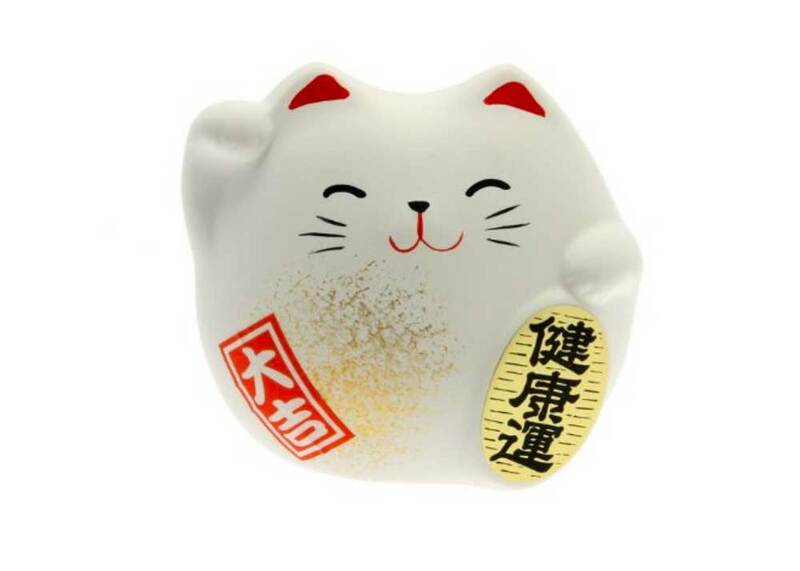 Now you too can beckon a little good fortune into your life with this cute feline charm. The Japanese art of origami can be great fun to learn or practice. The results are immeasurably better if you can use the right paper. Each of these packets includes 30 different patterns printed on traditional washi paper, which makes them ideal for origami or other craft projects. The patterns themselves are taken from the Yuzen style, more commonly seen on kimono. Although it is called lotion in Japan, this product is more closely related to what you might rather call toner. Made from fermented rice sake concentrate, it is chock full of hydration, brightening and anti-aging properties. The lotion can be used in the morning and at night, and the bottle is large enough that you need not worry about running out anytime soon. You can use charcoal’s anti-odor properties in your kitchen too. These quality dishcloths are infused with Japanese oak charcoal, binchotan, which helps to delay and reduce the unpleasant mildew smells that come with normal dishcloths after use. These cloths are a little stiff when new but quickly soften up. This set comes with three tasteful colors. Aka (red) miso creates a deep, rich and slightly smokey flavor when cooking in various dishes. Most often, this paste is used to make miso soup or marinate fish. The benefit of making it yourself is the ability to gauge the strength of the miso. This two-pack is a great deal, and can yield several tasty dishes without much effort. Japanese women go to great lengths to avoid skin-ageing sun exposure, so only the best sunscreens will do. This award-winning formulation from Bioré ships directly from Japan but you can buy it on Amazon. It is a full spectrum screen that is suitable for most skin types, providing strong protection without clogging your pores or unseemly white streaks. If you’ve ever wondered how top chefs keep their knives so sharp, it’s because those in the know use Japanese knives. The craftspeople of Seki City have had 700 years of practice at sword making, and today use those skills to fashion blades that are rust-resistant and stay sharp for longer. 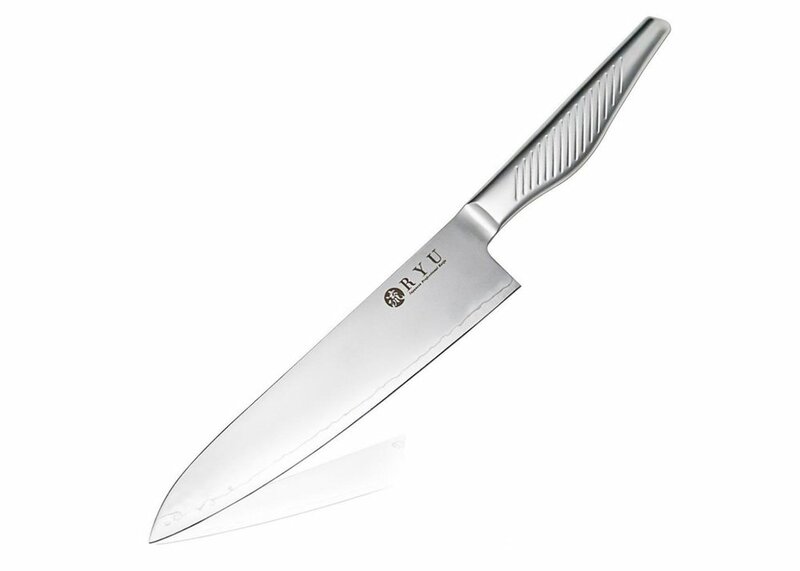 Top quality Japanese knives can be very expensive, so this one at under $50 is a great deal. Once you try Japanese steel, you’ll find it hard to give it up! 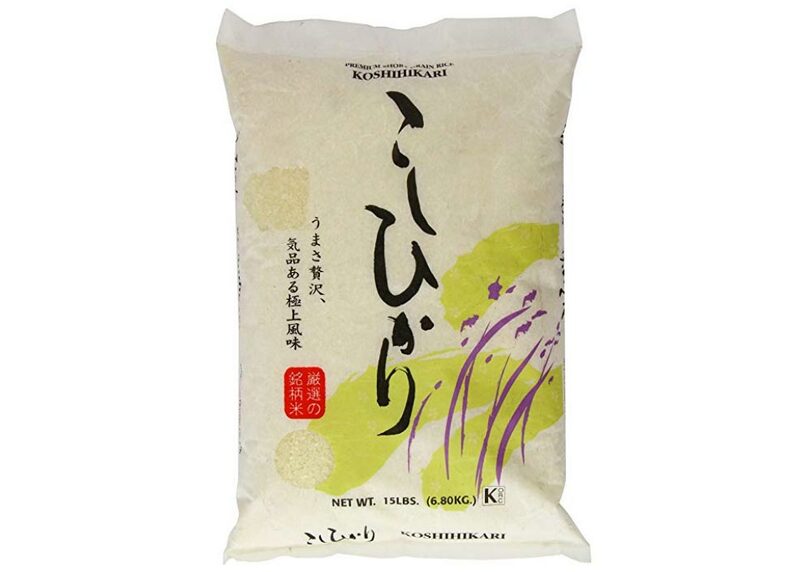 Kombu is a type of dried seaweed (kelp) that is an essential ingredient in Japanese cuisine. We recommend adding a few flakes to a miso soup, or over soba noodles to get that authentic taste. You can also use kombu to make dashi, which is the secret ingredient giving Japanese dishes their umami flavor. Just boil a couple of flakes in 4 cups of water for 20 minutes; or even easier, just soak the kombu in water for a couple of hours. Sencha is Japan’s most popular tea, packed with the characteristic sweetness of Japanese green tea. As opposed to powdered matcha tea, sencha is infused in hot water just the same as loose leaf teas you are used to, so you don’t need to use any special equipment! Ocha & Co produces some of the finest selections of sencha tea, and all 100% organic. Just a teaspoon can give you 3-4 cups, so this 100g (3½oz) packet will last you long enough to get hooked! Zojirushi have been making vacuum flasks for 70 years, which means they’ve had time to build up a solid reputation for quality, so if you want to buy some reliable Japanese things, they're a good choice. Keep your coffee hot, or your margaritas cold with this lockable lightweight flask!